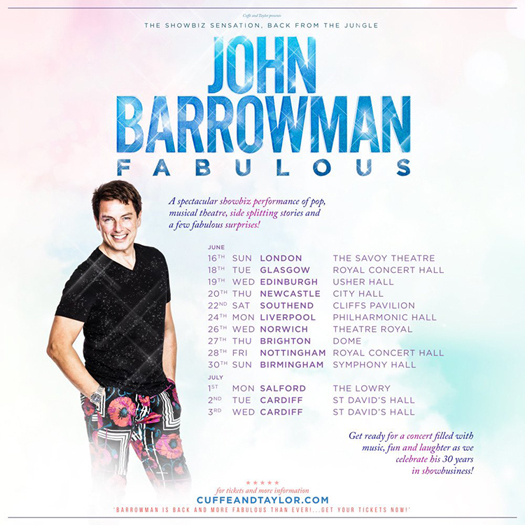 Tickets go on general sale on 23 January 2019 from www.cuffeandtaylor.com. Speaking about the tour, John said: "I can't believe it's been 30 years from my West End debut in Anything Goes to my Australian jungle adventures in I’m A Celebrity, and there's been lots of fabulousness in between. I'm thrilled to celebrate this amazing milestone with my FABULOUS tour. I'm looking forward to meeting fans and sharing some of my favourite moments with you all."